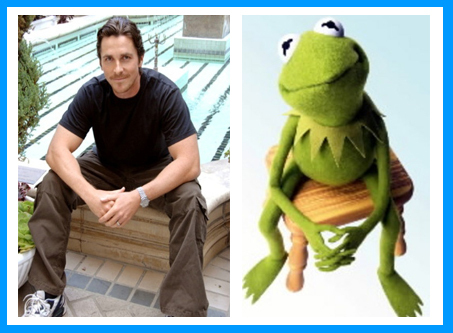 Christian Bale and Kermit the Frog: separated in tadpole phase? 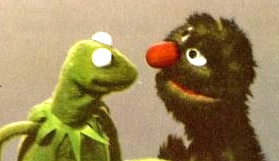 Please to consider: Kermit and Christian. LiveJournal has many, many, many, many more such comparative studies. You are walking home after a busy day as a medical student, you are feeling overwhelmed by work and wondering if it’s really worth it, training to be a physician in this day and age when medicine is plagued by falling salaries, frivolous lawsuits, and unprecedented bureaucratic headaches. You are thinking about your roommate, whom you don’t find particularly bright but has a job in finance that pays her half-million dollar bonuses. As if on cue, she appears on the corner of the street and you two start walking together. Suddenly a man falls off a scaffolding and lands directly in front of the two of you with a thump. You both look at him, he is unconscious and a pool of blood is developing around his head. 1. What are the initial priorities? 2. After addressing these initial issues, you approach the patient. He is unconscious. Outline your approach. 3. Describe the most important components of a focussed neurological exam in this patient. Your roommate, who just got a .6 million dollar bonus, gives you five thousand dollars because she feels bad, you working long hours for nothing and all. You decide you need a new preamplifier, so you go to your local ritzy stereo place and there it is: the Marantz AV8003 Networking Preamp/Processor. You note that it supports Digital Media Player for Ethernet – Audio, Video and Photo (supporting DLNA) as well as video scaling and processing by Anchor Bay Technology, that it sports Precision Video Scaler which allows up to 1080p scaling and full 10bit video processing. You’re amazed that it features HDMI V1.3a: 4-in/2-out, Dolby TrueHD, dts HD, Deep Color, DSD (SA-CD), Auto Lip Sync, XLR Pre Output Terminals for 7.1ch, XLR Audio Inputs for CD/SA-CD, Multi Zone Component Video Out, RC2001 Main Zone Remote (PC Programmable, Learning), RC101 Sub Zone Remote, HD Radio / XM Ready / Sirius Ready capability, THX ULTRA2 Certification, Copper Plated Chassis, and Toroidal Power Transformer. The salesman, a handsome gentleman in his late 50s, notices how interested you are in the unit, clutches his chest and drops to the ground. 1. What is your initial response to this turn of events? 2. What is in your differential for possible etiologies of this patient’s symptoms? 3. What risk factors predispose to the most likely diagnosis? 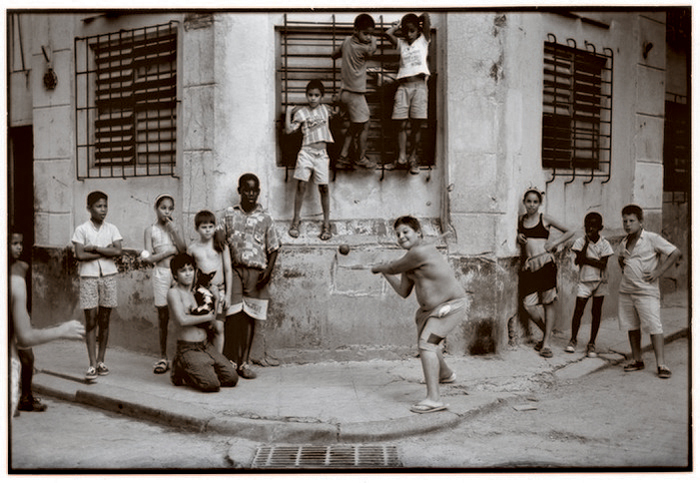 Walter Iooss' iconic image of stickball in Havana. This is great: Walter Iooss’ photo website (mostly sports pics), with intermittent commentary. 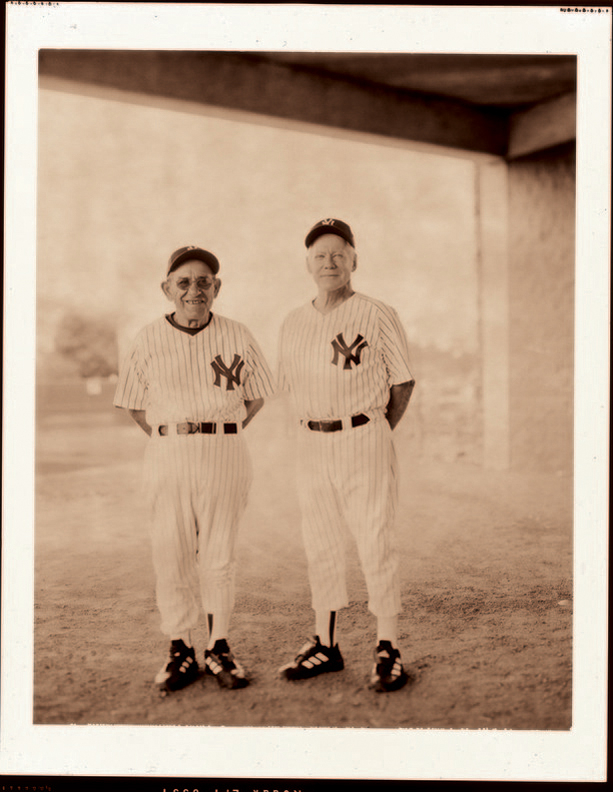 Walter Iooss' photograph of Yogi Berra and Whitey Ford as little old guys. This video combines several things I like: voice acting, Japanese talk shows, and cuteness. My rule for students was, you were allowed to hand in one paper late as long as you promised never to give me your explanation why. I thought I was going to lose my mind if I heard one more “My boyfriend and I had a huge fight and then I had to drive him to the airport and then it was, like, 2 am and then my roommate got alcohol poisoning . . . etc. etc. ” Seriously, just zip it and give me the paper. Save the emo for your band. PS, I was on a university campus yesterday for reasons unrelated to education, and oh my goodness, it’s frosh week! Cute little shouldn’t-you-be-in-OACs stumbling around with purple paint on their faces, getting waterboardedgunned by power-mad 20 year olds. 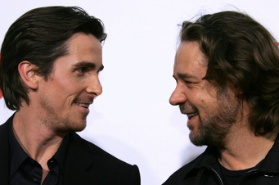 Say it with me now: AAAAWWWW! Isabelle Dinoire, partial face-transplant recipient. L-R: Before accident; 12 months after accident with makeup; 18 months after accident without makeup. These photos (large version) show Isabelle Dinoire, the recipient of the first successful partial face transplant. In 2005, Dinoire overdosed on pills and went unconscious. Trying to wake her, her dog eventually scratched her face to shreds. Missing her lips, nose, and parts of her cheeks, Dinoire was left unable to speak or eat, and received a partial face-transplant, a total miracle of science. Although she doesn’t have full control of the muscles in the lower part of her face, you can see some pretty graphic images of the improvement this transplant has made. More about Dinoire, including links to more photos. Since 2005, the field of face transplantation has moved forward by leaps and bounds, and in the last few weeks, it looks like face transplantation is now a viable option after catastrophic facial damage. Hurray plastic surgery! New faces, given to a Chinese man after a bear tore off part of his face, and a French-Caribbean man disfigured by a rare tumor, show that such transplants can work, and are not medical oddities. Photos (some rather graphic) of the two men mentioned in that quote; and the full article about these two procedures is also online. And here’s the requisite link to Nicolas Cage & John Travolta awkwardly stroking a lot of people’s faces. Laughed lots; cried a bit: POW! Stepbrothers John C. Reilly & Will Ferrell: I keep hoping they'll kiss. You are currently browsing the pageslap blog archives for August, 2008.